It's one of the hallmarks of election night. The major networks and news outlets show off all their new bells and whistles for the millions of viewers who want the results. NBC showed off its own technology by having Ann Curry walk through and deliver poll results in her own virtual reality environment. CNN, though, took the cake perhaps with its coverage, which included anchor Wolf Blitzer interviewing holograms. Traditionally the anchor introduces and interviews reporters who are placed in a box on screen. People who work in the TV business call it a "dual box" or "double box." This year, however, the digital wizards at CNN placed some of their correspondents in hologram form in front of Blitzer. 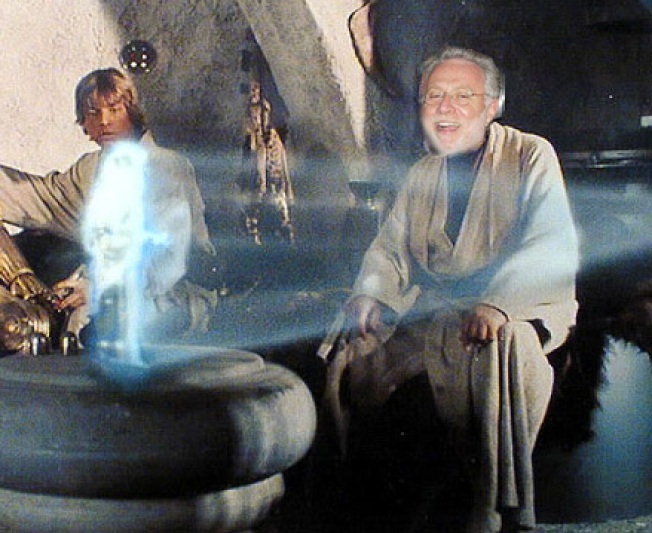 Blitzer stood their pretending to actually talk to the holographic reporters as if they were in the room with him -- like a scene from one of the Star Wars movies.